I was using the camera's LCD to zoom in on the claspers, so I never even saw this tiny white insect. It must have landed there for a moment and then flown away again. 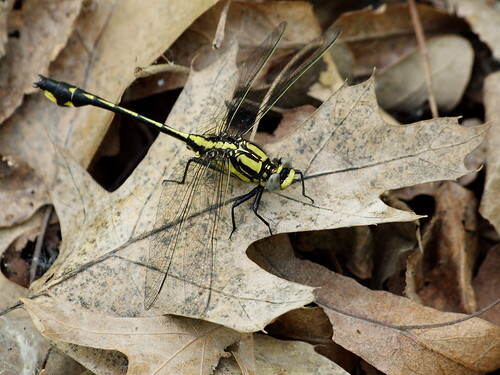 Last week pameladean and I went to the Sunrise Landing on the St. Croix River to look for clubtail dragonflies. 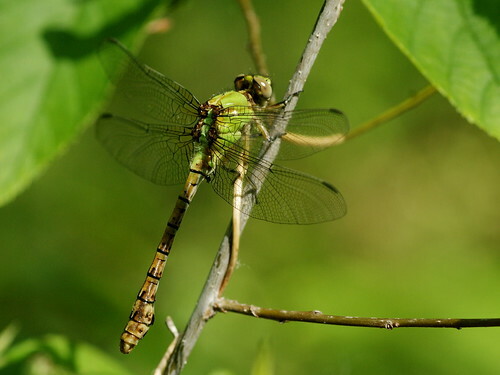 Many clubtail species are hard to find, in part because they're vulnerable to pollution, but all the public water accesses along the St. Croix have a good variety of species. 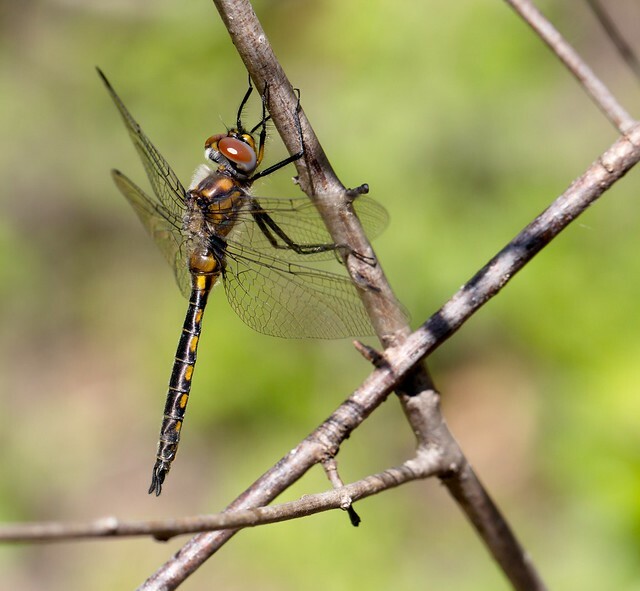 We timed our visit to catch the emergence of two particularly elusive species, the Pygmy and St. Croix Snaketails, which we thought would be easier to find if we could find them before their wings dried. This was the second time we tried that, and the second time we failed; last year I think we went a little too late, and this year the river was too high to walk along the bank and look for them. I only saw one Snaketail the whole day -- a Rusty Snaketail, the most common kind, though not quite common enough to take for granted. I like their russet-and-pea-green color scheme and their wonderfully incatatory scientific name, Ophiogomphus rupinsulensis. 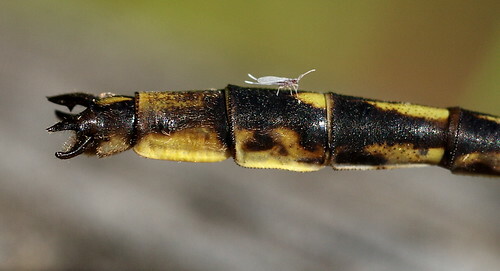 As they get older the yellow fades to silver in front, leaving yellow only on the swollen "club" at the end of the abdomen.